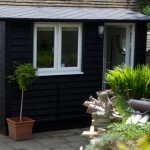 The Micro Suffolk Barn will optimize your garden space perfectly, especially when space is at a premium. 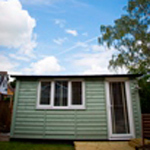 This stylish building is spacious and adaptable, so there’s plenty of space to create your perfect room. 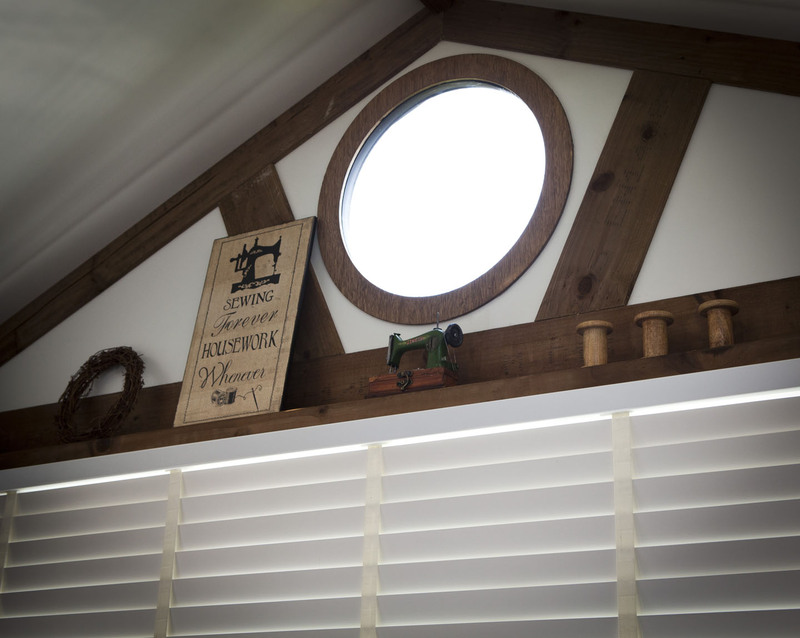 As standard the door and windows are fully double glazed, which allows lots of natural light to reach every corner of your Solo Suffolk Barn, whilst keeping it warm and secure. 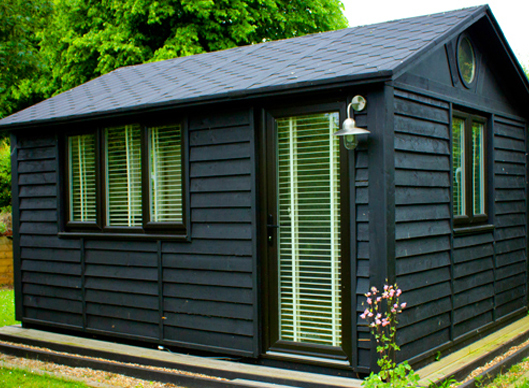 As with all of our buildings, the Solo is fully insulated so you’ll remain comfortable all year round. The internal measurements are 3188 x 2117 (approx. 10’6” x 7’), so it’s great if you have regular visitors or if you need some extra room to get creative. 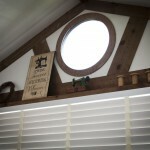 The Solo Suffolk Barn design has a beautiful rural look. 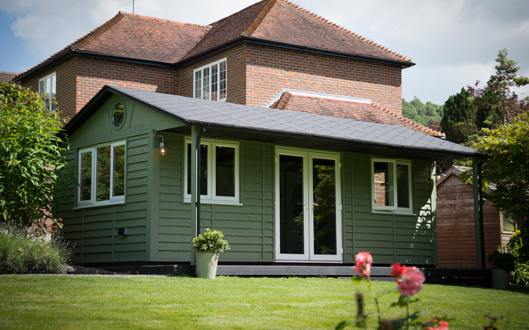 It’s exudes a rustic style, but rest assured it has modern substance too, built using our trusted TuSC system you can fall in love with its look in the full knowledge your Solo Suffolk Barn is built to last. You shouldn’t need planning permission as the Solo Suffolk Barn with low built roof is in line with current planning regulations. 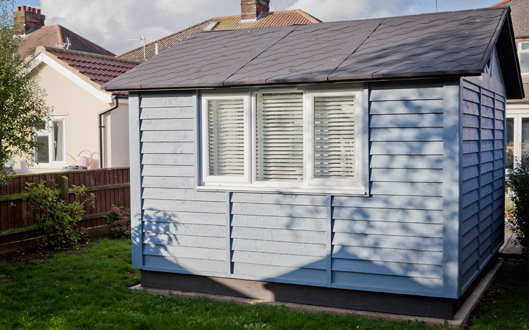 However should you need planning permission, we’ll fully manage the application process from start to finish. 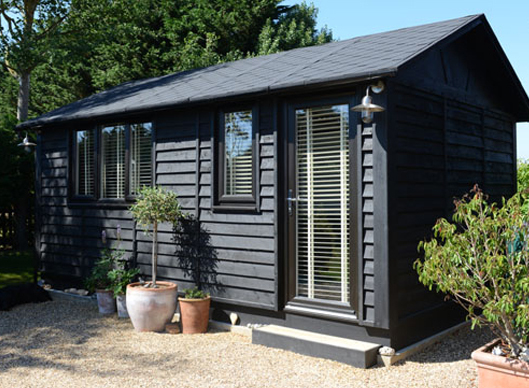 The Solo Suffolk Barn is very adaptable, so we’ve designed a range of furniture that’s just as versatile too. Smart Garden Office Bookshelves: Whether you want bookshelves covering every single wall, or just a few in the corner, these adaptable shelves are great for adding storage space and personality to your Solo Suffolk Barn. 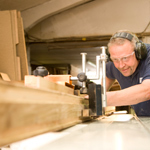 We’ll manufacture your shelves to any shape or size you require because we design each one especially to suit. The Solo’s Interior is the perfect space for a person looking for a art room, music room or gym, it also is the perfect size for a one person office that may have a visitor every so often. The interior is light and spacious and provides ample room for a you to design a room that you just won’t want to leave! 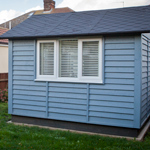 Our free no obligation site surveys are there so you can design your perfect room with one of our expert site surveyors. 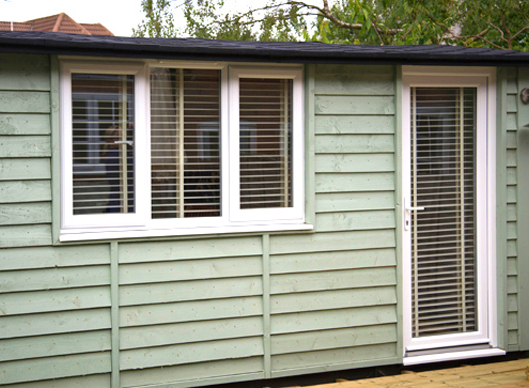 It’s so you can personalise every detail from colour, to where the windows and doors will be situated. 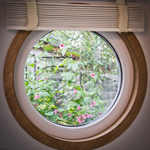 There’s optional extras of our beautiful handmade furniture or perhaps a porthole window. 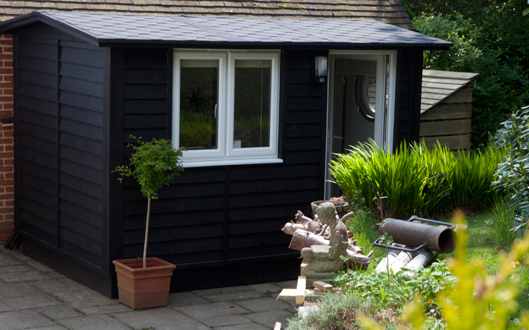 Installation takes 1-2 days and is designed to be as simple and easy as possible, to avoid causing an unnecessary hassle, Our expert team arrive, construct your personalised Solo and then leave you to enjoy it for years and years to come. 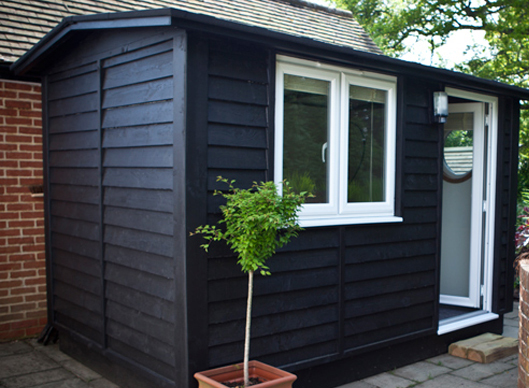 If you need a bit more room, but keeping space in your garden is important, have a look at our Extro. 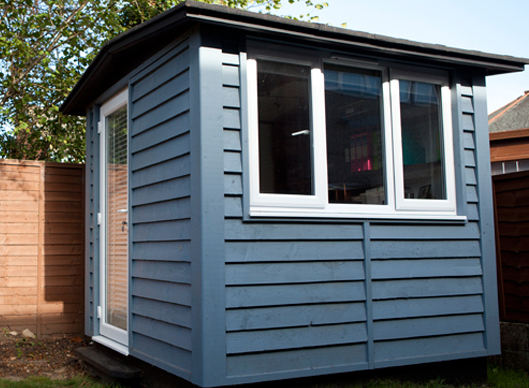 The Duo measures 3.2m x 3.2m and is perfect for those looking for a bit more space, perhaps a two person office or spacious studio.